"You're more than special." The Orchard has debuted an official trailer for a charming little documentary titled Dina, telling the story of a woman named Dina. This doc won the Grand Jury Prize, the top honor for documentaries, at the Sundance Film Festival earlier this year and received rave reviews from critics. Dina has autism but has overcome tragedy and challenges in the past and is about to marry a man, Scott, who she is happy with. This verité-style film profiles her adventures in preparing for the marriage, figuring out plans for her future living together, and dealing with the struggles of daily life. 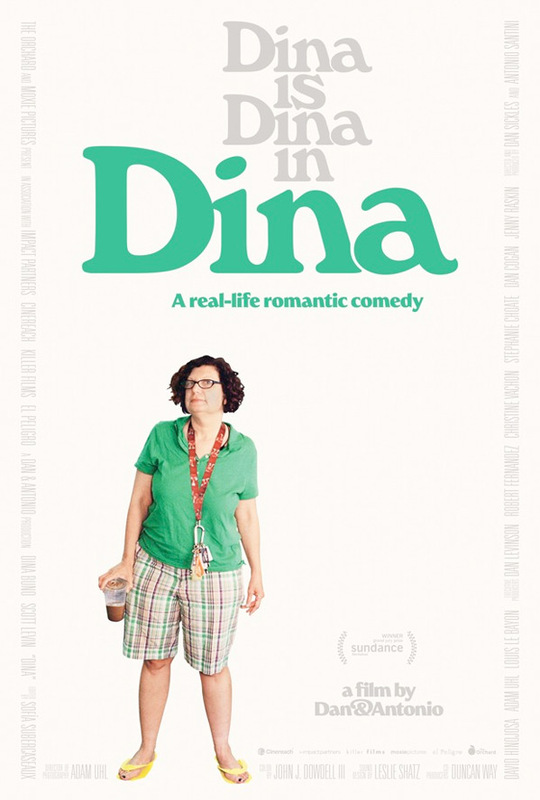 As described: "Dina is unstoppable, a force of nature, and as the star of her own life story, she's an unconventional movie protagonist the likes of which hasn't been seen before." You definitely need to put this documentary gem on your radar, it's worth it. Dina's getting married in a few weeks and there’s still so much to do. She has to move her boyfriend, Scott, from his parents' house to her apartment, and settle him in to only the second home he’s ever had, all while juggling his schedule as an early morning Walmart door greeter. She has to get her dress, confirm arrangements with the venue, and make peace with her family, who remain nervous for their beloved Dina after the death of her first husband and string of troubled relationships that followed. Throughout it all, in the face of obstacles large and small, Dina remains indomitable. She's overcome tragedy and found the man she wants and is bent on building the life for herself that she believes she deserves. Dina is directed by filmmakers Antonio Santini & Dan Sickles (aka Dan & Antonio), of the documentary Mala Mala previously. This premiered at the Sundance Film Festival earlier this year, where it won the top Grand Jury Prize. The Orchard will open Dina in select theaters starting October 6th this fall. Who's interested?